The Dubai Opera is hosting two new performances in September in celebration of the Chinese New Year. Puccini’s ‘Turandot’ opera will be staged from September 5 to 7, followed by a contemporary dance drama ‘Early Spring’, which will be staged on September 11 and 12. The two new performances are in partnership with the Shanghai Grand Theatre and the Shanghai Opera House. ‘Turandot’ is Puccini’s final opera, which is set in Ancient Peking, where the icy Princess Turandot announces that she will marry the man who can solve her three riddles, but gravely punish those who cannot. Heads roll until the arrival of a clever prince who is determined to win over the princess, or die trying. 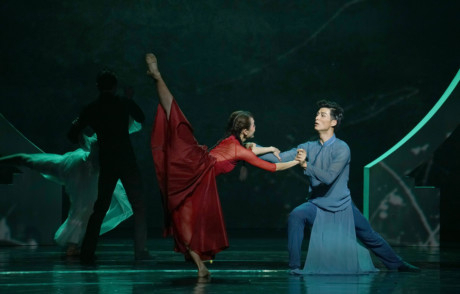 ‘Early Spring’ is composed by Du Wei and performed by the Shanghai Opera House Dance Ensemble. It is adapted from the novel ‘February’ by Rou Shi. Both the performances will be staged at 8pm, with ‘Turandot’ priced from Dh300 and ‘Early Spring’ priced from Dh200.